Hi, I’m Doug DeVos, with Amway Corporation and it’s an honor to have this chance to talk about the China Development Forum and all the things that we’ve experienced in China. 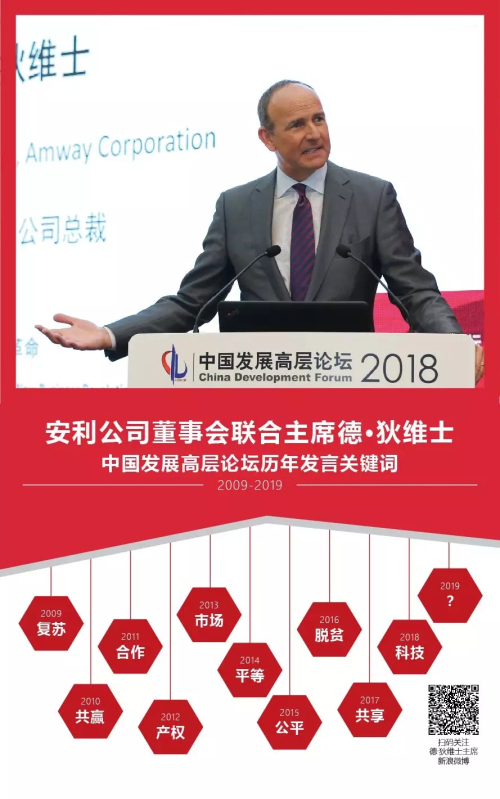 The China Development Forum celebrating 20 years and I’ve been honored to be able to participate in ten of those forums so far and being able to see a lot of what has happened over the 25 years that Amway has been operating in China. So, if you’ll allow me to tell our story, I think it can have an important example of how we see things, not only in our past 25 years, but for the future as well. 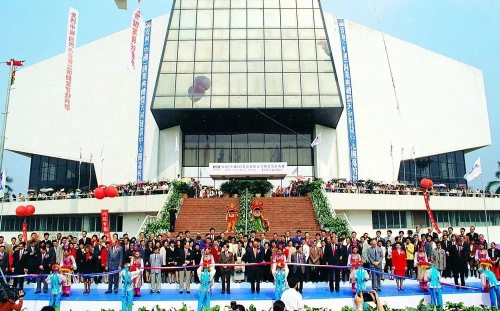 You know, 25 years ago China was very, very different and we’ve seen things change dramatically and, if anything, that is the greatest story that we’ve experienced in Amway China. Now, those changes have all been moving forward. They’ve been opening up the things we’ve been talking about at the Development Forum for the past decade as well and before, but we’ve also had challenges along the way and I think it’s important to acknowledge that. So, while there have been challenges in our past, we have also seen a working relationship and a desire to move forward, which again are the themes that we’ve always talked about at the China Development Forum. Since that time in 1998, our business has grown dramatically and today China is Amway’s biggest market by far. And what we have seen over those years is the continual movement forward. Now, like I said, there’s not without challenges. There’s not without ups and downs that have happened, but if we step back, we have seen a very strong and steady, positive movement forward. One of the things that I personally experienced about China is just an awareness of the size and the scope and the challenges that are a part of this marketplace. It’s dynamic. It’s incredible. It has a still unbelievable potential, but it’s going to take a lot of work for this economy to continue to develop well. And we know that while things have gone very strongly in the past, there may be some up and downs in the economic development in the marketplace as well. Amway stays committed for the long term. And so, as you can see, once we started, our industry was shut down, we came back, it’s become our biggest market, and we are committed for the future. I’m looking forward to participating in the China Development Forum this year and I look forward to the ongoing dialogue and discussion about how the marketplace can be improved. How the marketplace can move forward for the citizens of the marketplace, for the consumers in the marketplace, and for all those who are participating from a business perspective in the marketplace as well. I’ve seen thoughtful, open discussion and I’ve seen positive steps forward and it’s been an honor for us and for Amway to be part of this journey and we look forward to the future with great anticipation.